Find the rabbits you want to raise in your local Oklahoma neighborhood. Show quality Netherland Dwarf, mini Rex, Californian, Jersey Wooly, Lionhead. Pet, show, 4H projects, and meat rabbits available almost year round. If you don't find a listing in your area, please go to Rabbits for Sale for more suggestions on finding your choice of rabbit locally. Free to Rabbitry Owners and Breeders! 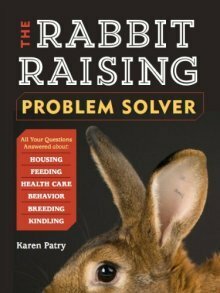 List your healthy pet and show rabbits on Raising-Rabbits.com for free! Why should people purchase your rabbits? Tell them why, with a Dedicated Web Page on Raising-Rabbits that features your Rabbitry. Rabbit raisers are a very good bunch, most of the time. We've heard of no problems with any rabbitries we've listed, but just the same, we ask that the buyer beware. Ask if the breeder has had problems with buck teeth. Look in the rabbit's mouth - the top rabbit teeth should overlap the bottom teeth. Ask if any genetic problems lurk in the herd. Buying meat rabbits? Ask about yellow fat. Certain breeds and lines within breeds have have their own various genetic problems - ask. Listen inside the rabbitry - If you hear *any* sneezing or see *any* white snot, you may wish to leave without rabbits. Snotty mats on forearms means a sick rabbit - don't buy. A damp nose (except on very hot days) might (but doesn't always) mean trouble - be cautious. Buy at your own risk, and let us know of any problems. Thanks! Get rabbit news, husbandry and health tips mostly every month. It's easy - we only need your email address, then hit the 'subscribe' button. Enjoy! I understand that you will use my information to send me the Rabbit Rhythms e-newsletter. We use affiliate links (including Amazon.com links) to help keep the use of this website completely free of charge to you. We have selected our affiliate products carefully with the purpose of improving your experience, both on the Raising-Rabbits website, and in the ease of the care you provide your rabbits. Purchases from our affiliates come at no extra cost to you. By Karen Patry, Copyright © 2009-2019 Raising-Rabbits.com. All rights reserved.